Change Healthcare ProviderNet gives healthcare providers an easy-to-use portal to manage claims payment and receivables tied to specific payers. For approved claims, payers transmit payment and remittance details in standard HIPAA formats through the portal. Rather than receiving paper checks and printed remittance documents, which can require substantial effort to post and reconcile, registered providers will receive payments and remittance information electronically. 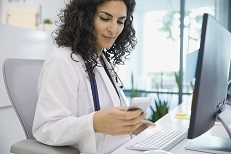 ACH payments are automatically generated and routed to the configured destination accounts, and ERAs are posted on Change Healthcare ProviderNet. Change Healthcare ProviderNet users are then able to log in and view, search, and download their electronic remittance information in human readable formats. Change Healthcare ProviderNet's user-friendly, online registration process will allow you to enter your office locations and depository accounts, and authorize specific payers to initiate electronic claim payments via ACH. Once registered, you can immediately begin experiencing the convenience and efficiency of electronic processes - receiving both electronic payment and remittance advice (ERA) transmissions from your payers. It's that easy! According to HIPAA rules and regulations, the sharing of such information and usage of the account by others who are not actually performing or planning to perform the procedures constitutes improper use of PHI and is a violation of the HIPAA rules and regulations. Copyright 2009 - 2019 Change Healthcare LLC and/or one of its subsidiaries. All Rights Reserved.